Most of the time, in the introduction to these little chats, we’d plug a particular project that a particular actor, artist, athlete, or non-A-profession human being had in the works. Dermot Mulroney’s on Homecoming. Alison Brie’s on GLOW. Judy Woodruff is on, ah, the news. That sort of thing. But Wil Wheaton is Wil Wheaton. He’s sort of his own project. Do I write here about Wil Wheaton the author? Wil Wheaton the TV personality? Wil Wheaton the internet-guy, or Wil Wheaton, quitter of social media? 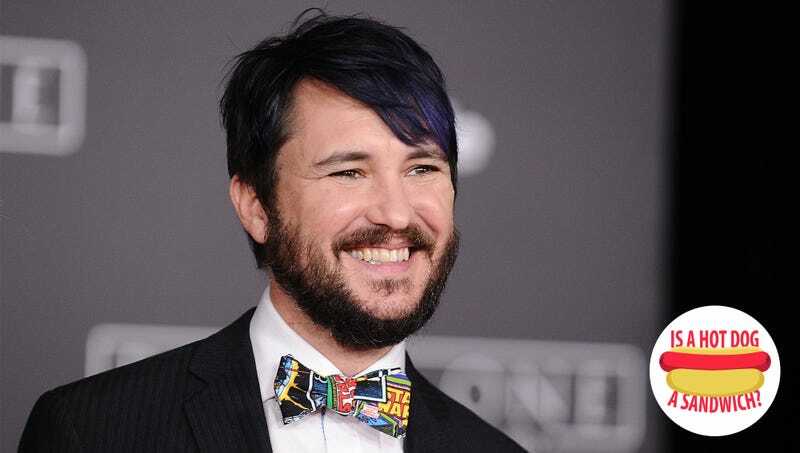 Wil Wheaton the actor, the gamer, the professional geek? Which Wil Wheaton do you want? So rather than plugging Wheaton’s website, or his books, or any of his TV appearances, I’ll use this space to send up a flare to CBS that Wil Wheaton had some very nice things to say about Star Trek and he’d like to be on your program, please. He also has an opinion about hot dogs and sandwiches. Wil Wheaton: My answer is the opposite of whatever John Hodgman (arguable kickstarter of the hot dog-sandwich debate) says. TO: Well, I haven’t checked in with him personally, but what if, despite his earlier ruling, he just said that it’s the opposite of whatever you say? Then we’re just in a loop. WW: Well, that fits perfectly with the horrible world we live in right now. Um. [A long, long, pause for thought.] Yeah, a hot dog is a sandwich, because it’s between pieces of bread. I guess? Yeah, I guess. TO: It’s a strange question. WW: Yeah, especially strange for me because I don’t like hot dogs. I like everything that comes on a hot dog. TO: Would you prefer a veggie dog, or would you be eating, like, a bun with mustard and relish on it? WW: I’d go for a veggie dog with all the stuff on it, and I’d be really, really happy with that. TO: Is a veggie dog a sandwich? TO: Thank you so much. WW: A corn dog is not a sandwich! TO: [turning back] Oh, I quite agree there. WW: Because it’s on a stick! TO: Ah, see, I thought you were going to say because it’s fully enclosed. WW: That, too. A wrap is not a sandwich. A burrito is not a sandwich. And a wrap is also not a burrito. That’s definitive.